The Oatmeal is Trying to Save Tesla’s Lab! Do you know Nikola Tesla? No? You should, so go read this. 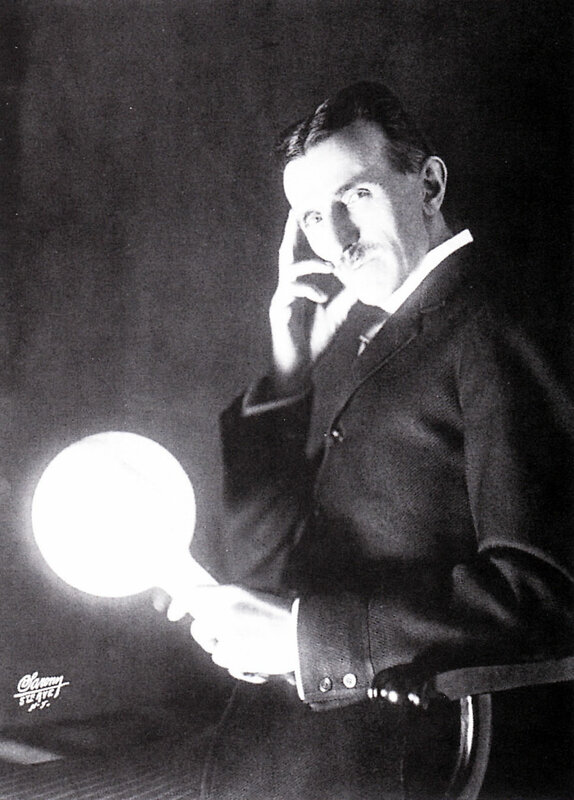 Okay, now you know who he is and now that you know, here is why you need to know Tesla, RIGHT NOW. Hello loyal readers. This weekend is AnimeNEXT 2012. At this wonderful convention I along with Evan Minto from AniGamers and old school anime fan Walt Amos (he will also appear in the next episode of All Geeks Considered Podcast, as soon as I edit it). It will be in Panel 5 at 10PM on Friday. The premise behind this panel is that sometimes there is a hidden gem of scientific accuracy or something way off. This panel points this out and hopefully show something you haven’t seen before. After the con I will post a list of shows and clips that were used. So Google has been working on making a driverless car for a long time. I am sure you’ve seen some of the very impressive videos in the past. However, now there is an officially licensed car that is driverless. This is the first step to ending a world of car accidents and unnecessary deaths on the road. The motorist will be a sportsman like the jockey is now. I honestly think there will be a push in the future to a world where driving is a minor skill that few have. That won’t be for a long time but it will happen. It will start off as a luxury but I think very quickly that as more and more people use them that states will realize that robot cars are a safety need, like a seat-belt. I also fear that in the first few years will see resistance with every accident reported, like how every plane crash is. However, I think that people will have to get used to cars that follow the rules of the road, speeding will be out of the program. Or would there be speeding, how would a car understand going with the flow of traffic, I expect that the early models will be limited to the speed limit since those are going to be sharing the road with people but as time goes on it will follow a few simple rules: get to the destination, stay on the roads, get there as fast as possible, and don’t kill the person inside of you or hit anything. The real test will be on the east coast Megalopolis. The sooner that robo cars take over the better off we are. I welcome our overlords in their mighty Googleplex and there robotic minions. I also would like to remind Google to program the 3 Laws in everything you do. Scientists race the oncoming Antarctic Winter to uncover a mysterious and buried ancient lake. At 7 days out of communication, their fate remains unclear. I need to make this clear. How do I make this clear? This is not a movie. This is not a pitch for a movie. This is actually happening right now. A team from Russia’s Arctic and Antarctic Research institute has been digging for the last few months in an effort to reach a vast but deep (13 thousand feet) Lake Vostok. With the very dangerous and even more very imminent Antarctic winter heading their way, this has become a time is of the essence kind of science expedition. Apparently, Antarctic winter will begin on February 6 and temperatures will drop 40 degrees centigrade. The stations location boasts the lowest temperatures on the planet at -129 degrees Fahrenheit. Therefore, it is a bit understandable that people would be worried that they have been out of communication for 7 days. If the winter temperatures began early, it could be a death sentence for the expedition. I am quite sure that the scientists would find their risks well worth taking however. It has been 20 million years since the lake has been exposed to air. There are discoveries waiting that will keep scientists of many fields busy for decades. There are mysteries in that lake. I will admit though that I am more interested right this moment in the mystery of what happened to the scientists. Here is to hoping that they are merely on their way back and did not tell anyone. So this weekend, like many in the Northeast of the United States I experience pretty heavy snow (considering it was October any snow could be considered heavy). Now with every snow storm tree limbs come down, it’s a bit of a given but this time there were many more, causing power outages and property damage. Now this got me to thinking about something that I love evolution and adaptation. In this case tree adaptation, many of the trees that were damaged this weekend were trees that have survived plenty of winters before, so what made this different? The leaves is my guess (or hypothesis, if you will). Normally, when the heavy snows come there are only needles on the conifers and the deciduous trees have all gone bare. It wasn’t until today that I saw another adaptation to the losing of leaves, the main one being that during winter there is less light and it is not energetically efficient to maintain the tissue all year long. However, let’s leave that adaptation for a few minutes and think about surface area, which the factor that really comes into play here. Now, when there is snow normally, very little snow actually gets caught on the leaves, the branches get a little but really its minimal. This makes me think that a major reason that trees lose leaves in winter is to avoid limb breakage. What’s the point of this story, well its two fold. One examples of adaptation of everyone and this is evidence of evolution so people need to realize it’s a true and natural process so stop saying otherwise everyone who is does that and two everyday we can think and science with simple things and this makes it all the more real and life more interesting. In what might be the longest post based on a few words, I will be talking about NASA’s new initiative. They have teamed up with a publisher to start publishing hard sci-fi works. The reason for this is quite possibly the best reason I’ve heard for starting this initiative, to get students and other younger kids interested in science and technology. In this short podcast, two names are invoked, that of Isaac Asimov and Ray Bradbury. These are both authors that I have enjoyed greatly and I personally consider a major influencing force in works that I enjoy. With many things I write about, I have some reservations. I do not particularly keep up with too many sci-fi writers that are active today. Also, in much of the hard sci-fi I’ve read it can be really boring. Too often it gets bogged down in the tech and doesn’t really tell a story. It just tells you about the world and how a few things work. I know there are people who really love this stuff but I do not really enjoy them. Asimov and Bradbury wrote works that were grounded in reality but there were things that went more or less unexplained. In the early robot books how the positronic brain worked never was really discussed, it was just the technobabble that kept things moving. As similar thing that can applied to Bradbury. What makes the greatest of sci-fi works great is not that there is technology but its the people that makes things great. Having a lush and full setting and improve a story but first and foremost there needs to be a story. Sci-fi has influenced the real world in so many ways, every few months on History or Discovery there is a special about this, they can be fun but these things that have shifted into our world were not plot points. You don’t want Star Trek to hear Scotty talky about dilithium crystals but to see Kirk be a badass. I fear that the way this is talked about it could end poorly for the line. I hope for the best with this line and I may pick up the first of these books to see if this is going to be a successful project. If this fails though Seth McFarlane and Neil Degrasse Tyson are remaking Cosmos for Fox (NYT citation). For additional reading about how science influences Sci-fi check out this New Scientist article about Bradbury and how his works were influenced by the goings on in his day.